Pick up point: Golden Tours, 4 Fountain Square, 121-151 Buckingham Palace Road, London SW1W 9SH. Please take your confirmation/voucher along with photo ID and credit card used for purchase with you. Important info: Please turn up at least 15 minutes before departure time to allow for check in. Tour at Warner Bros. Studios lasts 3 hours.Return transportation to Warner Bros. Studio Tour London on a Double Decker branded bus.While manual and electric wheelchairs are welcome inside the Studio Tour, we do require advance notice if you are visiting as part of a large group due to seating restrictions within the cinema at the beginning of your visit. Due to the layout of the attraction, this also means that only a certain number of wheelchair users can enter the latter part of the tour at any given time. 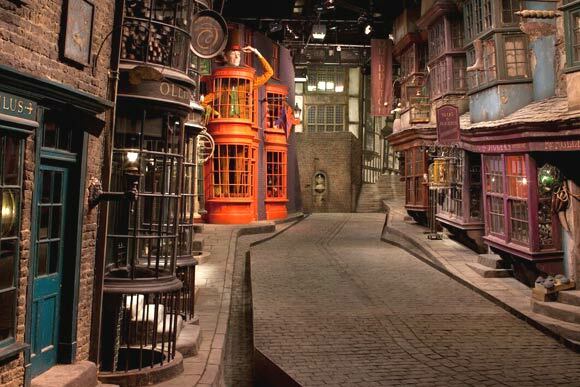 Visitor Services are happy to discuss this and any other concerns prior to booking.The majority of the Studio Tour is suitable for wheelchairs but some areas can be difficult to navigate, this includes Diagon Alley’s cobbled street and the Great Hall’s slate floor. The Hogwart’s Bridge can only be accessed via a short staircase and alternative access cannot be provided because the bridge, as an original set piece, has an uneven surface which is unsuitable for wheelchair users. The Knight Bus also has a short boarding platform which cannot be accessed by wheelchairs.